Casey “SD” Swanson reaches into otherworldly spaces when drawing inspiration for the groundbreaking wearable art and micro-sculptures he creates. Influenced by H.R. Giger and Salvador Dali, among many others. Swanson is dedicated to the pursuit of new creative techniques and and the process of constant self-improvement. Working in precious metals and gemstones, he is constantly rethinking the way in which natural and manmade materials interact with one another. Swanson’s interest in Sci-Fi, Fantastic Realism, and Biomechanics shines through his work and each piece is emblematic of the unique perspective he brings to his practice. Jarex is drawn to working with precious gems and metals because he seeks to create objects that will last for generations to come. Originally a graffiti artist and music producer, Jarex became completely deaf at the age of 30. 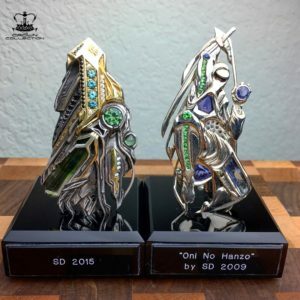 In search of a new medium of creative expression, he began making jewelry with the mind to create more than just wearable pieces of fine art – he wanted to make future heirlooms. Much of Jarex’s is inspiration is derived from the occult tradition of hermetics; his work either represents a philosophy, tells a story, or is symbolic of a feeling or emotion that words cannot express. 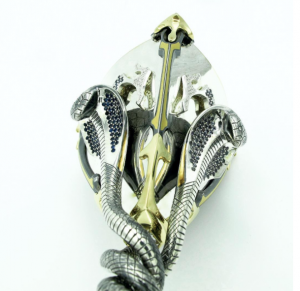 Jarex is committed to the traditional methods of fabrication used by goldsmiths for centuries before him. He feels that a human touch is the key element to the process of self-discovery and creative development. Residing in the hills of Nevada City in the heart of California’s Gold Country, jeweler Sarah Williams is enamored with a wide variety of aesthetics, ranging from futurist to minimalist. Sarah studied at the Revere Academy and has undergone further intensive training with master jewelers Paul Bartnik, Thomas Dailing, and lapidary artist Dalan Hargrave. She also specialized in 18K granulation under the tutelage of master goldsmith Kent Raible. 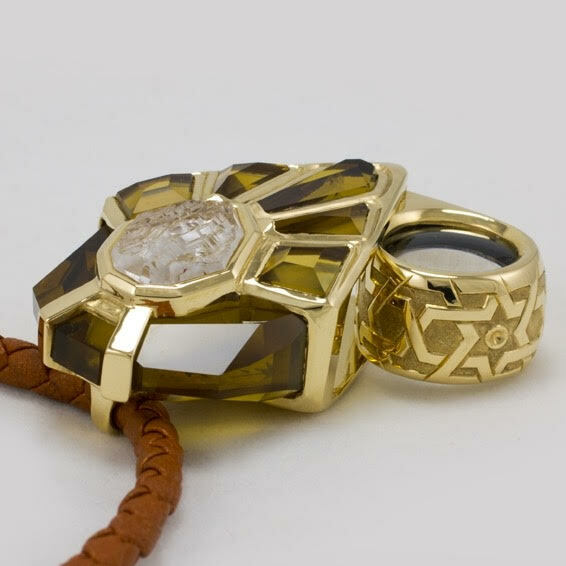 While her body of work is expansive in scope, she has recently focused on non-traditional bridal jewelry, combining various classical styles while focusing on stones which are unique in both color and rarity. 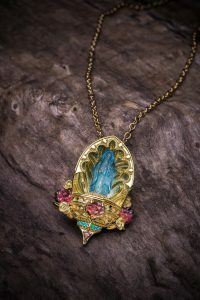 Her practice emphasizes the use of artisan-cut, rare colored gemstones and American mined gemstones, both of which can be found across her jewelry line, Precious Ghost. 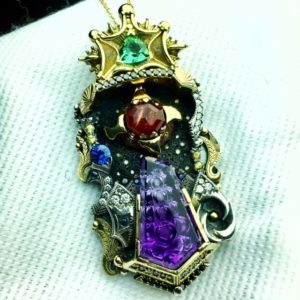 Sarah is committed to the pursuit of creative expression in all she does, and is perennially pushing boundaries in the world of wearable fine art. Liam Powers has dedicated the past 15 years of his life to the pursuit of impeccable quality in jewelry making. His path has taken him across the world, studying advanced techniques in Florence, Rio de Janeiro, San Francisco, New York City, and Miami–where he is based currently. Throughout his travels, he’s shown in exhibitions, competitions, and galleries across the globe, and has been featured in worldwide publications such as British Vogue. Across his work, Powers is guided by the aesthetic principles of balance, placement, and composition, and he strives to create a finished project so flawless that even a fellow jeweler cannot retrace his steps. Working primarily in precious metals and gemstones, Powers is inspired by the relationship between the mechanical and natural world, and has been influenced by the work of H.R. GIger, Bulgari, and Zaha Hadid.